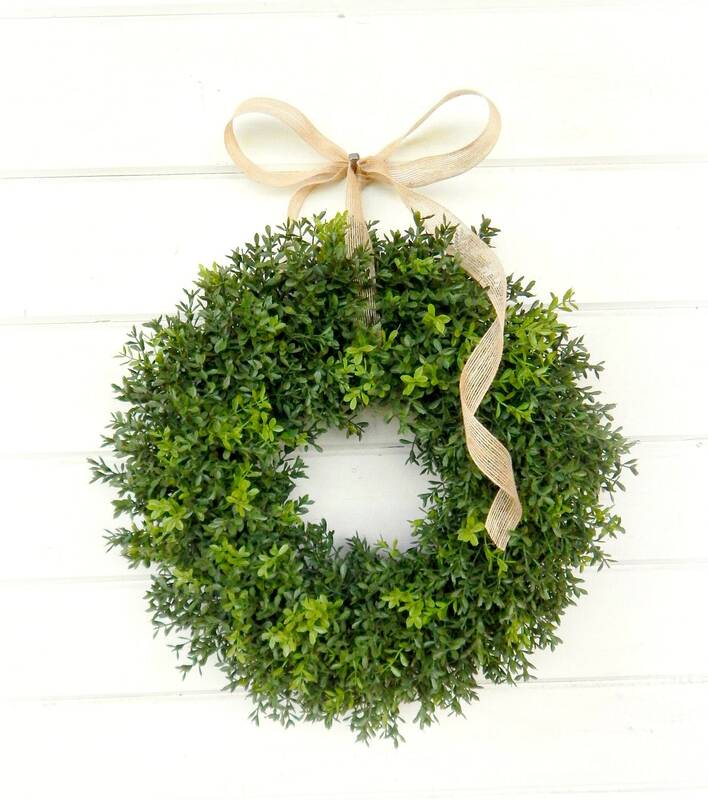 A New England Boxwood Wreath!! This is a NEW boxwood garland we have this year. It has a two tone look about it...Light and Dark green and the greenery is NOT shiny like some boxwood. I think this greenery is very realistic! 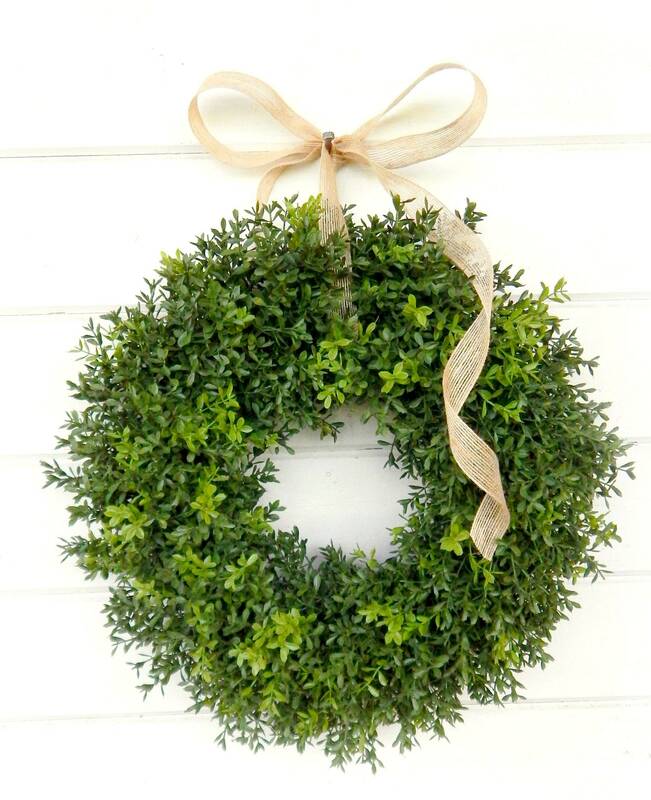 If your looking for a outdoor wreath this is perfect! 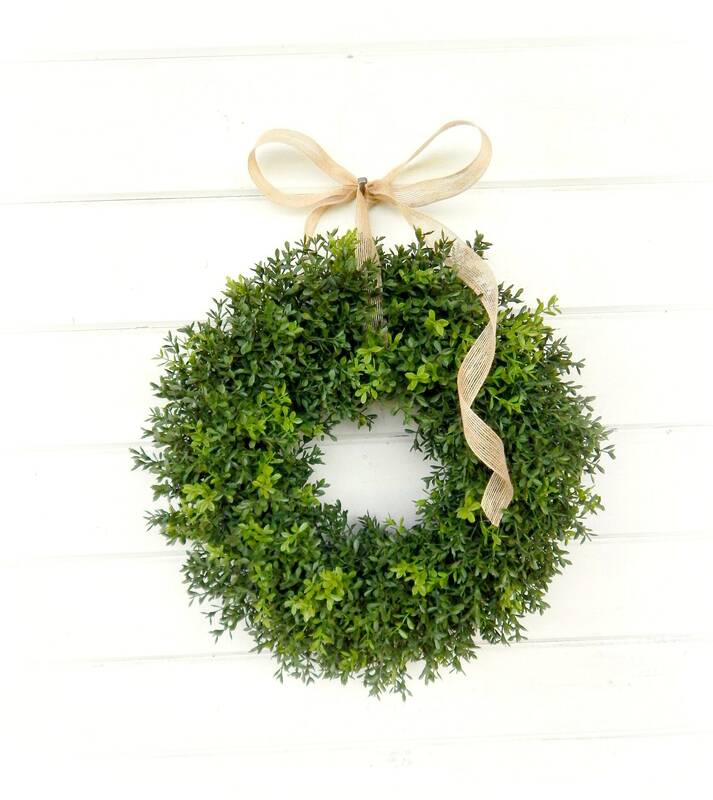 So many places to hang this wreath... your front door, entry way, bedroom, bathroom or kitchen. This wreath is even more beautiful in person. The wreath is full and lush. It not only appears real but the subtle eucalyptus scent reminds one of a walk in the forest on an Autumn day. It is a most versatile wreath indeed!